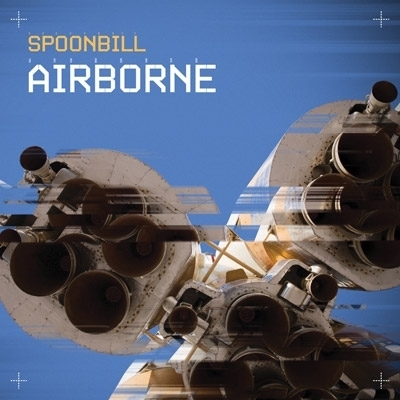 After a period of traversing the galaxy and capturing new tones from outer space Spoonbill has returned with a new set of aerodynamic tunes entitled ‘Airborne’. Designed to challenge gravity on dance floors across the globe, this 5 track EP kicks straight into warp speed with heavy weighted crunchy grooves that erupt from the speakers. Airborne is a funk fuelled glitch laden collection of midtempo tracks to bounce and wobble to. Combining burly bass and beats with growling synths, twisted sound design and spliced samples, this dense sonic spectrum fuses together to form a megacraft to haul you to a new world. Working under the Spoonbill moniker Melbourne based producer Jim Moynihan is a restless sonic author constantly defying genres and experimenting with the potential of the vast sonic canvas. He has carved a unique niche within contemporary electronic music, building a worldwide reputation for his idiosyncratic sound design and richly textured high production values. 2010 sees Spoonbill discover yet another sonic horizon delving into unknown territories and pushing the envelope of what’s been heard.